We are excited to team up with Barry's Bootcamp for a second year. Join us for a spring workout in the heart of West Village for a great workout + Meetup event. New to Dallas? 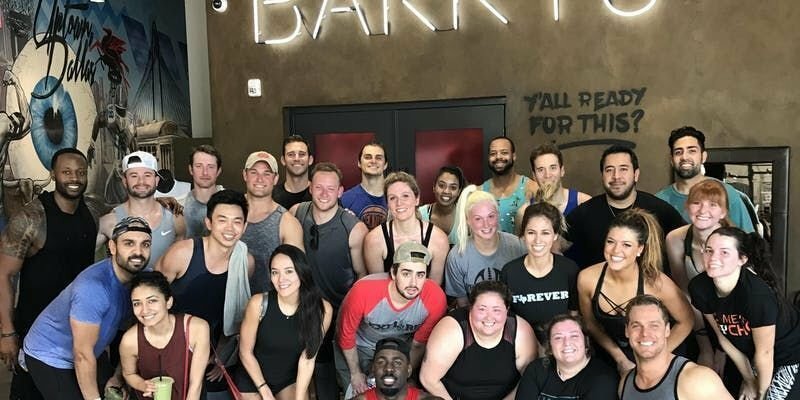 Join the Dallas Millennial Club and friends to try our Barry's latest class. A percentage of proceeds from this event will go to support Millennials for STEM, a local nonprofit that aims to provide resources and funding for underserved educational programs. About Barry's Bootcamp: A Barry’s class can burn up 1,000 calories or more. It tones muscle, and boosts your resting metabolism, so you continue burning calories after the class is over. Combine weight training with cardio and alternate bursts of intense anaerobic exercise with recovery periods to keep the heart-rate elevated throughout the workout. You’ll burn more calories and increase your lean body mass, which in turn will raise your resting metabolic rate by up to 15 percent.